“Say hello to my little friend” Atomist! It is a SaaS. It is a ChatOps. One of it’s main interfaces is ‘Atomist Slack [ro]bot’. My team member. 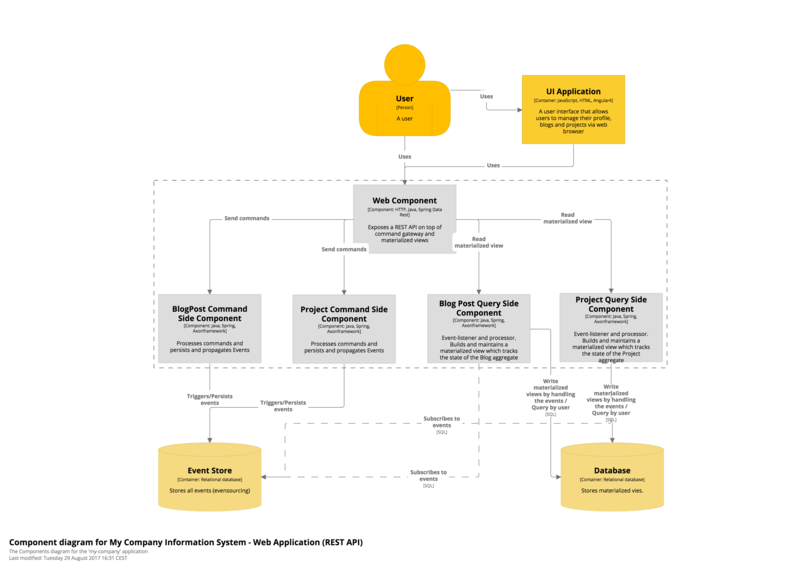 With the rise of distributed systems, project creation is more and more important to individuals and organizations, as is maintaining consistency between a potentially large number of services or components. Those challenges highlight the need for greater collaboration between, and within, teams and this is a challenge that Atomist is addressing. In one of my previous posts I wrote that there is important relation between architecture, process (continuous delivery) and the culture (devops, chatops). For the purposes of this post we will use an open source lab that I regularly maintain, and focus on monolithic (modular) architectural pattern. You will see how Atomist is helping me steering the process. This generator will create a new project/module based on the seed project. Atomis is more then the code, it understands the relationship between your code, your tools, your environments, and your running services and brings this information to where you live: chat. 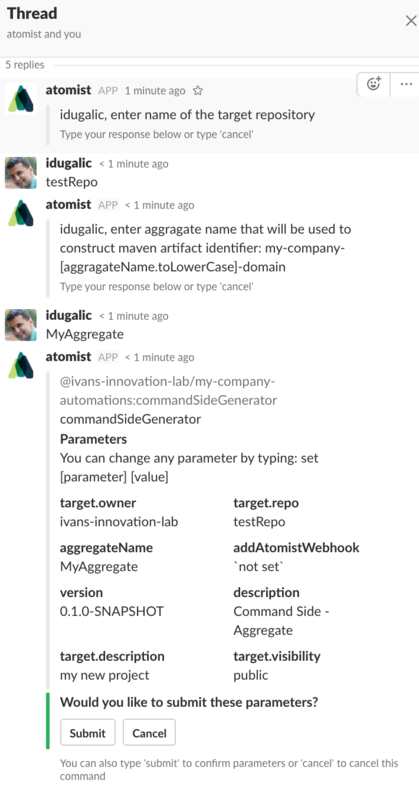 Invite Atomist bot into your Slack team. You have a new team member now, and you can ‘command’ him to do stuff for you ;). You have successfully created a new project based on your seed! 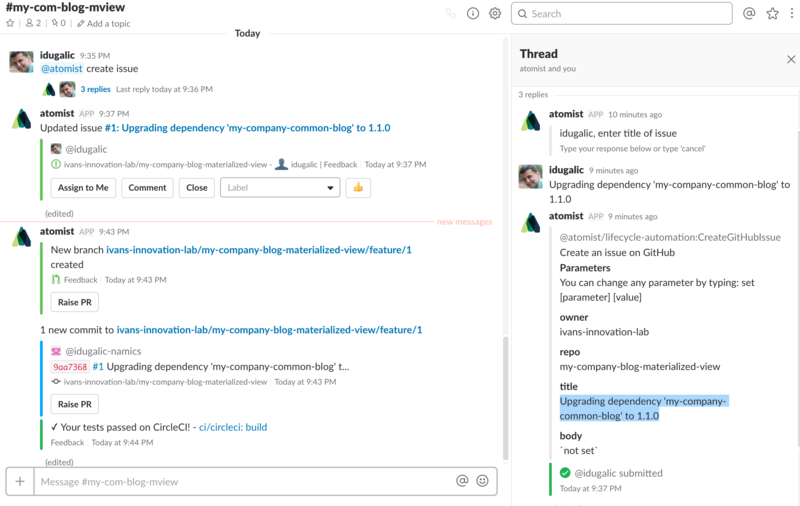 Please note commit messages and CI build status in the channel. This is just a small part that I was able to show you. I hope that you will find out how Atomist can help your project or product. Atomist is a true team member. It (he/she :)) helped us integrate tools like CircleCI, Github and Slack. Atomist correlate events this tools propagate into meaningful data that we can understand, and react upon. I personally believe that tools like this will change the way we work and keep us in the development process loop. The process that we have designed in the beginning.